Yoga Alma is a holistic health & wellness house offering a wide range of yoga & pilates classes and health & wellness services. Located in the beautiful suburb of Balmoral Brisbane, this unique and colourful studio welcomes all. 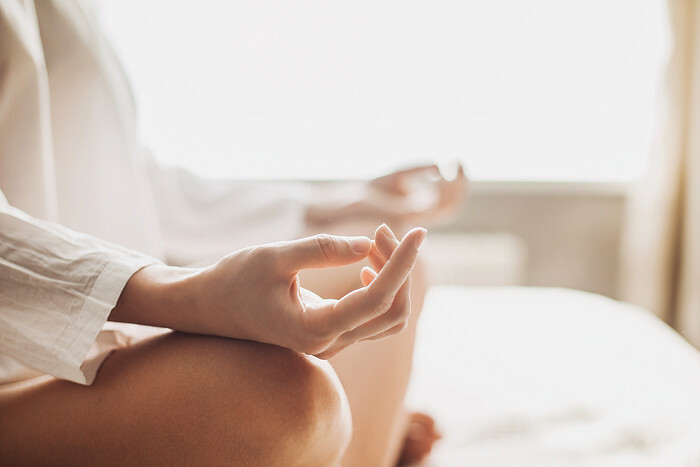 We specialise in helping beginners get started on the deeply therapeutic journey of practicing Yoga, Pilates & mindfulness on and off the mat. All you need to do is bring a smile! 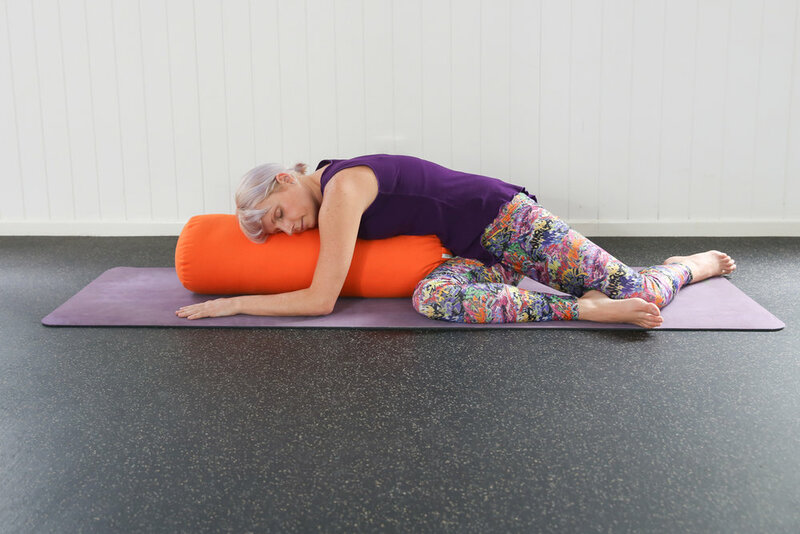 Yoga mats and props for comfort are included free of charge and your first class is FREE. Yoga Alma also offers private healing therapies and Health & Wellness Coaching. Read more here. All Yoga & Pilates classes are suitable to beginners and all levels. Yin Yoga is a big focus here at Yoga Alma so come and see what everyone is raving about! Try our 1 week unlimited Introductory offer today for only $30! Doors open 20 mins before every class. Beginners please arrive 15 mins before class to register. Regulars come 10 mins early to relax. INTRO OFFER $30 FOR 1 week UNLIMITED CLASSES. BUY NOW! 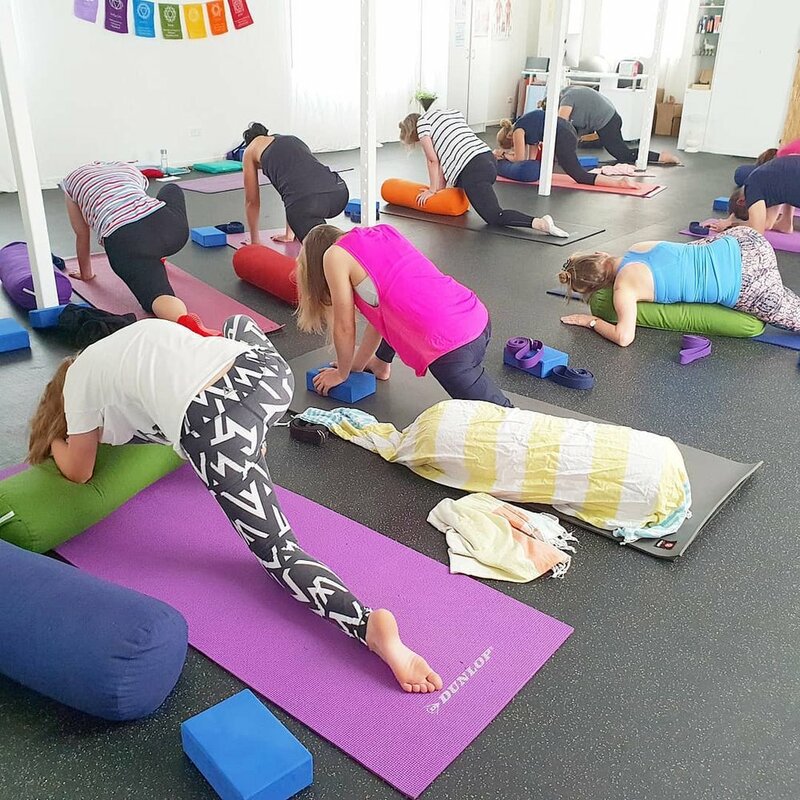 Yoga Alma has the best classes with loads of variety in classes to attend and all classes are run by professional instructors who ensure you enjoy your time. I have been going to Yoga Alma for 8 months and have never felt better! I could never imagine how deep and healing a yoga practice could be Yin Yoga is surely something needed by all. The instructors approach and teaching style at Yoga Alma are like no other that I have ever experienced. Calming, therapeudic, inspirational & creative, making everyone feel so warm and welcome. soul on a deep level. Her gentle words and demeanour were very accepting of everything around us. 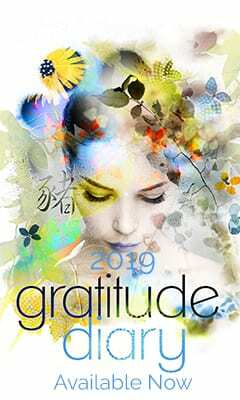 It has opened my mind to how grateful I am for everything and everyone in my life. I would highly recommend this to anyone and everyone. A wonderful experience that should not be missed. Not only do I go to Bree’s classes for the therapeutic Yin Yoga but the dialog that goes with the practice, truly inspiring. Bree has such an open and calm energy which only added and complimented the surroundings. From the yoga classes catering for beginners to the conversations and workshops supporting and promoting healthy living through a physical & spiritual understanding of changing elements of lifestyle to enhance my journey. 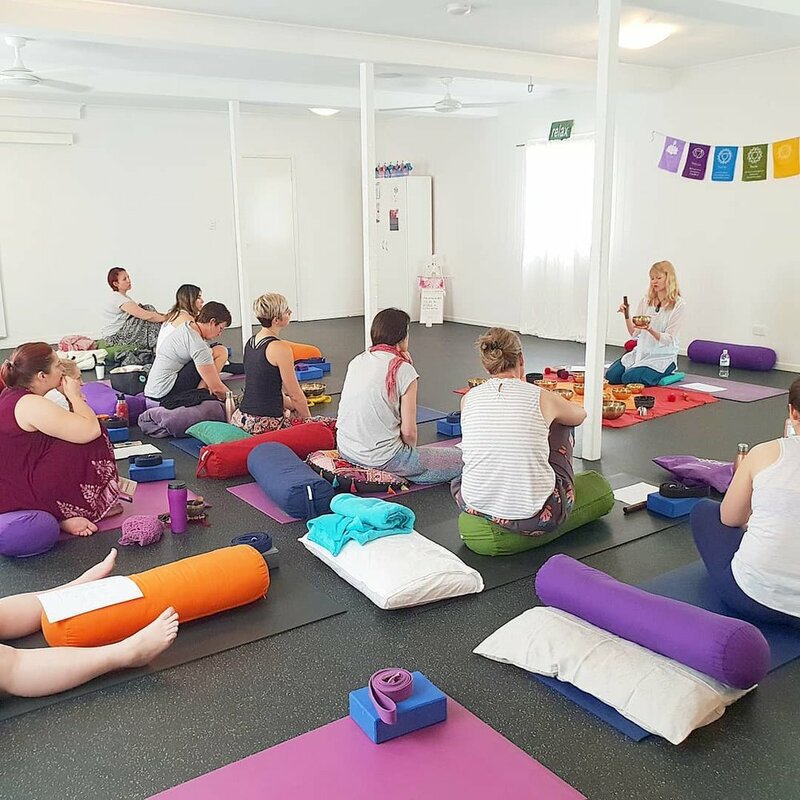 Yin Yoga Teacher Training Brisbane, Yin Yoga Teacher Training Sydney, Yin Yoga Teacher Training Melbourne, Yin Yoga Teacher Training Perth, Yin Yoga Teacher Training Sunshine Coast, Yin Yoga Teacher Training Costa Rica, Yin Yoga Teacher Training Mexico. 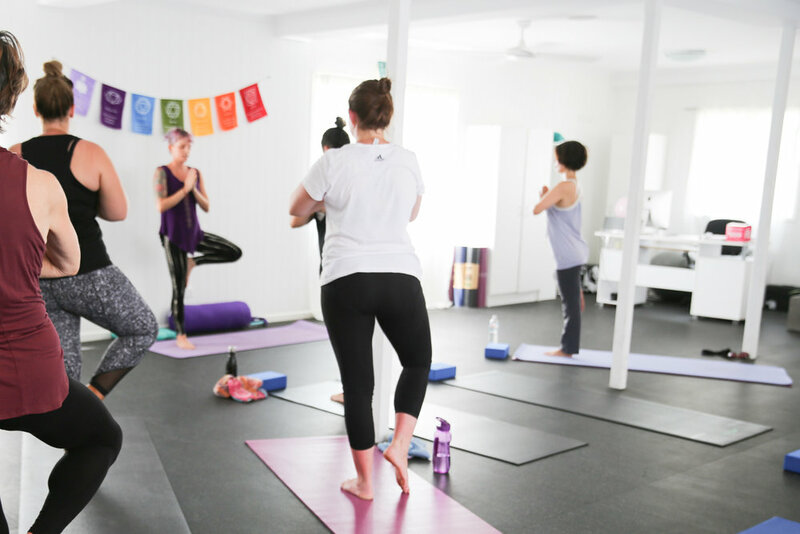 Yoga studiio Bulimba, Yoga studio Balmoral, Yoga studio Morningside, Yoga Hawthorne, Yoga Brisbane, Yoga studio Hawthorne.